This week, we have a look at three of the more upmarket lines and the world cruises they are now offering, plus Regent’s “build your own” world cruise. In Crystal’s case it is particularly worth looking at the lower number of ports called at but the much longer port stays as they join the all-inclusive Seabourn and Silversea. Elsewhere, Norwegian Breakaway will offer a spring Transatlantic sailing as her maiden voyage in 2013 and a River Cruise Expo is under way in Amsterdam today. 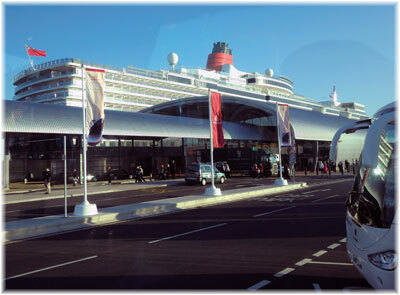 We also look at some interesting projections of more people cruising from UK ports as opposed to flying to their ship. 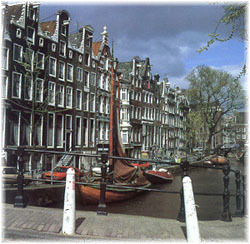 The upmarket lines have recently announced their intentions for 2013 World Cruises and it may be worth a look at some of their itineraries. While Crystal Cruises will dispense with its world cruise on Crystal Serenity in 2013, it will instead substitute a 74-night circumnavigation of South America, departing Miami on January 16, 2013, but the world cruise will be reinstated in 2014. Seabourn and Silversea, meanwhile, will still be offering 2013 world cruises in Seabourn Quest and Silver Whisper. The Crystal Serenity will now proceed on an 89-night world cruise in 2014, departing Los Angeles on January 18 and finishing in Southampton on April 18. Major ports include Yokohama, Hong Kong, Singapore and Cape Town, with two or three night stays at each of these, as well as two nights at Ho Chi Minh City. As well, there will be overnight stays at each of Honolulu, Osaka, Shanghai, Hanoi and Bangkok. Under Crystal Cruises’ new all-inclusive plan the line will also be offering free flights, fine wines, premium spirits, alternative dining at Silk Road, the Sushi Bar and Prego, as well as prepaid gratuities. And champagne will be served free with lunch on boarding days. This rather modified world cruise will visit 32 ports in 19 countries and include 17 overnight port stays, giving the opprtunity for more detailed exploration, instead of rushing on. 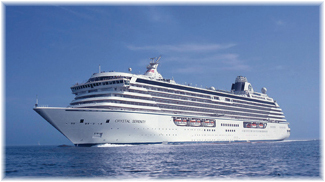 The 1,070-guest Crystal Serenity achieved 1717 points in the 2012 Berlitz Guide to Cruising & Cruise Ships. 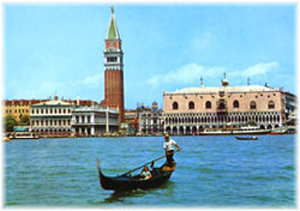 Seabourn, meanwhile, is offering a 116-night voyage on Seabourn Quest from Fort Lauderdale to Venice, departing on January 6, 2013. Ports of call will include three Caribbean islands, the Panama Canal, nine South Pacific islands, half a dozen calls in Australia and its islands, four calls in Indonesia, Hong Kong, two calls in Vietnam, one in Cambodia, two in Thailand, two in India, ten in the Middle East including Ashdod and Haifa, two calls in Turkey, plus Corfu and Dubrovnik before reaching Venice. Full cruise amenities include round trip Club Class flights, or air credit, pre-cruise Gala Bon Voyage event and overnight stay in Fort Lauderdale, drinks on board, prepaid gratuities and shipboard credits. On Seabourn, all dining venues are also complimentary. And with just 450 guests, the ship offers a more intimate experience. 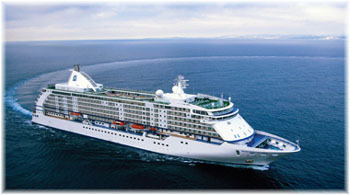 The Seabourn Quest was awarded 1787 points in the 2012 Berlitz Guide. Silversea’s offer is a 115-day world cruise from Los Angeles to Fort Lauderdale on board Silver Whisper, departing January 5, 2013. This cruise will cross the Equator four times, visit New Zealand and Australia and offering overnight stays in Tahiti, Fremantle, Hong Kong, Ho Chi Minh City, Bangkok, Singapore, Cochin, Cape Town and Walvis Bay, but no two- or three-night stays like Crystal. This cruise will visit 52 ports in 28 countries and includes nine overnight stays. Full world cruise guests will receive a complimentary Bon Voyage Gala and overnight stay at the Peninsula Beverly Hills Hotel in Los Angeles and fares will include free flights and transfers, or air credits, all-inclusive on-board package, prepaid gratuities and shipboard credits. The 388-guest Silver Whisper scored 1753 points in the 2012 Berlitz Guide. On the other hand, Regent Seven Seas Cruises’ Seven Seas Voyager is offering a “build your own” world cruise this year with a marathon 210-night voyage leaving Bareclona next Monday and working her way out to Auckland and back as far as Copenhagen on June 25. While this is not a world cruise, twenty-three different sectors are available The 708-guest Seven Seas Voyager scored 1654 points in the 2012 Berlitz Guide. To be fair, Steven Stern, in his Stern’s Guide to the Cruise Vacation, gives all four of these ships a full Six-Stars-Plus rating. For the best advice and fares on any of these ships in your own market contact your favourite cruise specialist. Norwegian Cruise Line has announced that the maiden voyage for its new 144,000-ton Norwegian Breakaway, the first of twins, will be a 7-night Transatlantic crossing on the traditional route from Southampton to New York on April 30, 2013. For Americans wanting to try two new ships, they can catch Cunard’s Queen Elizabeth, which is offering an 8-night crossing from New York to Southampton on March 30, and avail themselves of 23 nights weeks in Europe before sailing home on the maiden voyage of the Norwegian Breakaway. The Queen Elizabeth crossing is part of her return voyage from Australia in 2013. Now that kind of two-ship crossing could lead to some rather interesting comparisons. The 4,000-passenger Norwegian Breakaway will have forty-nine studio cabins for singles, a trend started by the Norwegian Epic. She will be based in New York and will offer an inaugural season of 7-night Bermuda cruises from May 12 to October 6, 2013, replacing the Norwegian Star in this trade. This will up the lower berth count on offer by Norwegian from New York by more than 75%. Norwegian, by the way, wishes now to be known as “Norwegian” and not as “NCL” and is trying to train travel agents to say this. The latest line from its newly-appointed advertising agency is “Cruise Like a Norwegian” but we’re not quite sure what that means. Some some pretty boozy Norwegian nurses take those overnight “cruise” ferries between Oslo and Copenhagen. One thing is right however. Norwegian’s operating income for the third quarter of 2011 improved 18.3%, driven primarily by strong revenue performance across the fleet. Net revenue grew 4.6%, mainly due to an increase of net yield of 3.8% over 2010. The increase in net yield was driven by higher ticket pricing, which is a good sign to many. Yesterday and today some 250 British delegates, of whom about 150 are travel agents, have been in Amsterdam for the Association of Cruise Agents’ first River Cruise Expo. In addition to their sessions, four European river cruise ships, the AmaDante, Antoinette, Da Vinci and Switzerland II are on hand not only for agents to visit, but also as overnight accommodation. The program includes guest speakers from several river cruise companies and a trade fair, together with the ship visits that are taking place today. Fortunately, most delegates were able to get there as airports in both the UK and in Amsterdam were beset with heavy fog delays yesterday. AMA Waterways, APT, Avalon Waterways, eWaterways, the River Cruise Line, Shearings, Swan Hellenic, Tauck Tours and Titan Travel are all represented in Amsterdam and delegates stayed overnight last night on one of the five river cruisers on hand. River cruising has been showing a marked increase in Europe and the UK and we will bring you more on some of the new ships and their operators in later columns. Some interesting projections have arrived from the Passenger Shipping Association in London. According to them, whereas 760,000 are expected to take a no-fly cruise from the UK in 2011, this is expected to rise by about 10% to 835,000 in 2012. At the same time, the number of fly/cruises sold in the UK is projected to drop by about 5.8%, from 950,000 to 895,000. The 75,000 additional no-fly cruisers set against a loss of 55,000 fly/cruisers means an overall projected gain of about about 1.15% in the UK cruise market next year. And 55,000 fewer passengers for the airlines. Next story New Seabourn Quest Makes Maiden Arrival in U.S. Previous story Where in the World is Regis Going?